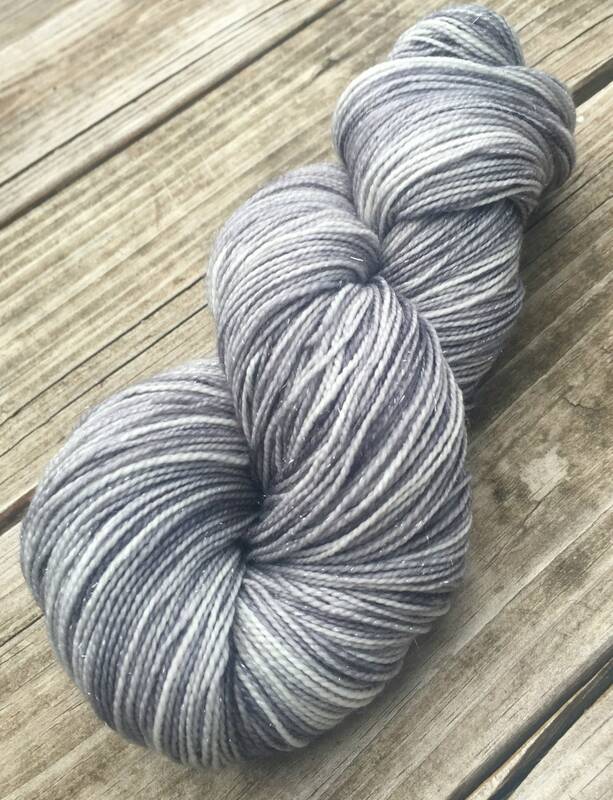 SPARKLE TOES - this yarn is READY TO SHIP! 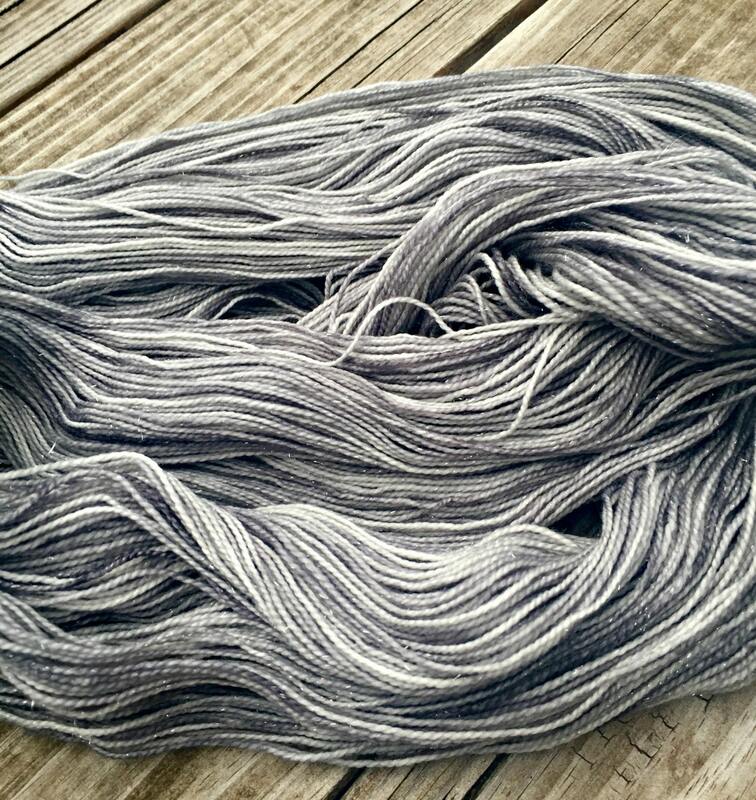 I dyed this yarn with professional acid dyes in colors of gorgeous silver grays from palest to intense. 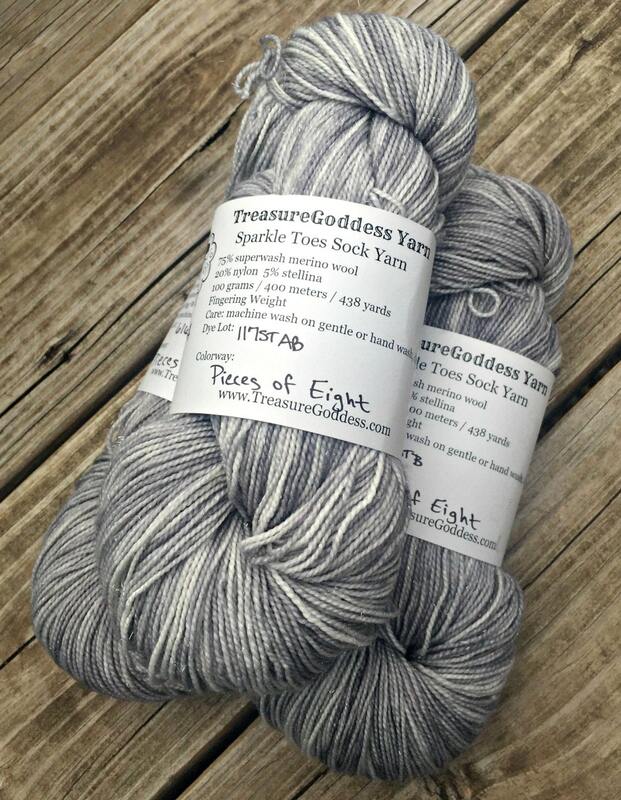 This reminds me of the Pieces of Eight, the term pirates used for the Spanish silver coins often taken as booty! Yarrrrn! 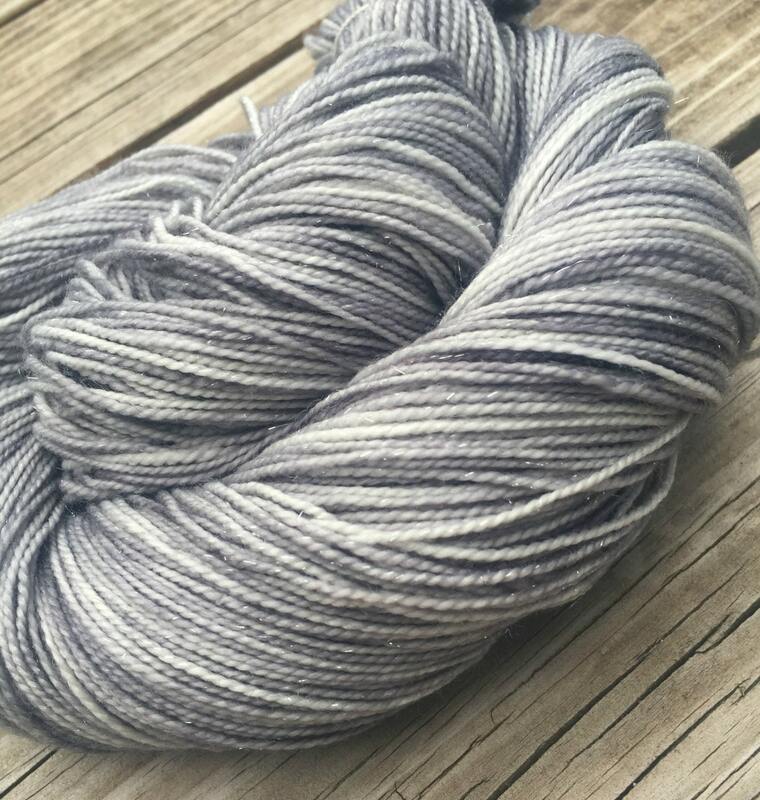 This is such a great yarn base! Squooshy, good twist and YUMMY too! 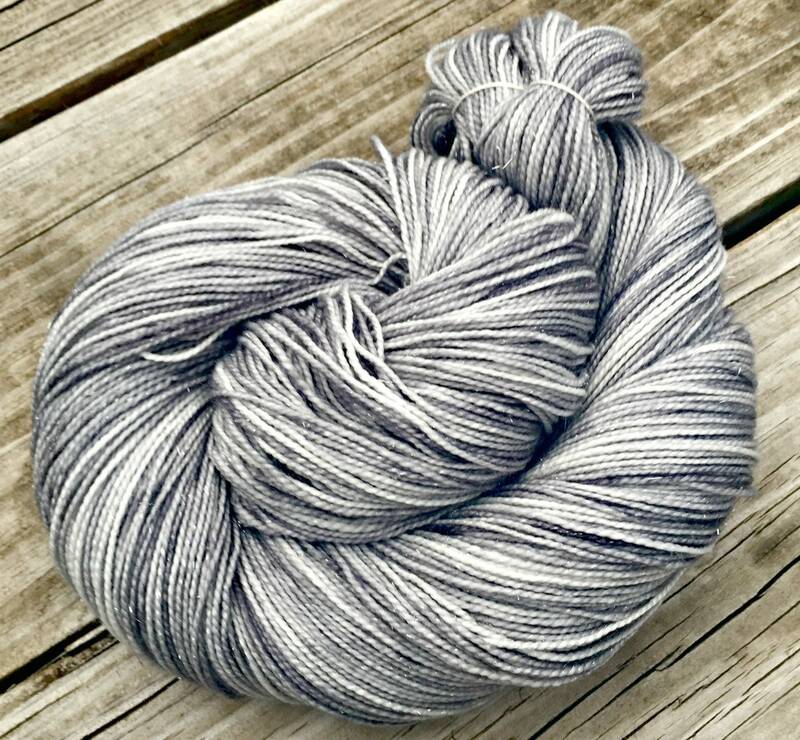 The Stellina fiber helps give a real sparkle in this yarn, catches the light and SHINES!